After having received the parcel from Dholakia, containing samples from their complete snuff range, I will try to give some reviews on theirs snuffs, one by one. The Dholakia Tobacco Pvt. Ltd. is run by Mr. Parag Dholakia, a follow of the founders of the company, 150 years ago. They did not respond to the enquiry form, but to my e-mail. Maybe you have to try the e-mail if they don't answer you after some days. Aren't they kind? I wonder what you think about the snuffs. I did edit the first comment to give every Dholakia snuff an own discussion. dear alex,thanks for your comment on dholakia snuff.the best i liked was about ganga. it smells like a spa.spa is very in thing and every one would like to visit once. variety of snuff i.e manjul,kamal. A warm welcome Namrata! I am glad to welcome the second producer to this community. That's exactly what I meant. It's very convenient. but do you think people will be intrested in buying it? Your snuffs are a lot different to the once I tried before. I only had one snuff coming from Israel which tastes similar. If people will like it? We will see with the upcoming reviews. I contacted a German snuff importer and told him about your brands and my reviews here. Maybe he will be interested in sampling them. Of course, I cannot promise that. I just told him about your snuffs. waiting for more comment on other variety of snuff i.e manjul,kamal. Sorry for being so lazy. I will do my very best to get the review done and put them online. thanks for warm wellcome ,through this site i will be able to meet wonderful snuff lover friends.i will be in regular contact with you all ,so that i will be able to know more reviews and suggestion which will help us to improve ourself and our snuff .waiting for more reviews. moist snuff is usually for chewing not for sniffing.the sample which i had send to you was made for one of our buyer in africa,he wanted strong moist snus for chewing.have you tried other samples?did you find intresting? snuff world is very intresting.in acient indian health science(ayurvedas)snuff is suggested as medecine for problams related to tooth.in india people use snuff for teething,inhaling and chewing.waiting to hear comments from your side. Thank you again very much for the snuffs Namrata. So far I have only tried the Ganga. I am extremely surprised by this snuff, it is very good in my opinion. The smell is very strong at first, and to me smells like Rose and something else I just can't quite put my finger on. Whatever that something else is though makes this snuff much better than Wilson's Rose of the Sharrow which I do enjoy also. After about 2-3 minutes the flavor fades but is still strong enough to make its presence felt. To me as time passes on the flavor seems to remind me of taking a warm bubble bath, very pleasent in my opinion. I also really like the fluffy texture of this snuff as it makes it easy to take larger pinches. sorry our snuff are not available still in U.S but if you all start liking our indian snuff than world is very small soon we will be at your door step. dear friends please have patience every snuff lover will receive gift of sample packs from dholakias once than you have to buy.ha!ha!its business HA! ha!. it was nice to hear that you liked manjul. " MANJUL " means LOVABLE . i am sure it will be loved by all snuff lovers who will try once because of its unusual flavour,texture and colour. yes friend your free samples are on its way to your place ,soon you will get it.we have number of inquries from all over the world so some times it takes time sorry. you must be eager to smell new exotic snuff.am i right? 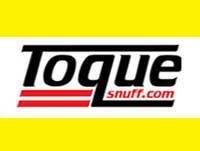 i like and adore snuff lovers as snuff is our business. 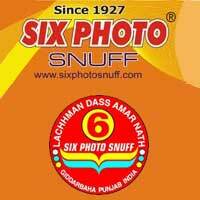 waiting for your comments on our dholakia snuff. have a pinch from dholakia snuff gentelman! surely you will n joy. dont worry,soon our snuff will be in europe market. as you all liked and wanted dholakia snuff in europe we are comming to you soon. DHOLAKIA SNUFF WILL BE AVAILABLE WITH SNUFFSTORE.kempton ,germany. sorry friend ,i have no idea,but will soon give you all information. dholakia snuff has reached THE SNUFF STORE IN NEW PACK...hope people will wellcome.now soon all will come to know with whom it is available in poland. i contacted marscigar ....they said no demand....if any importer is ready to import he will keep some stock of dholakia snuff.NOW you HAVE TO WAIT TILL DEMAND ARISES IN AMERICA .